On November 27, 2017 the U.S. Department of Labor announced an 18-month extension from January 1, 2018 to July 1, 2019, of the special transition period for the Fiduciary Rule’s Best Interest Contract Exemption, the Principal Transactions Exemption and of the applicability of certain amendments to the Prohibited Transaction Exemption 84-24. On August 31, 2017 the EBSA/DOL had issued a proposed rule extending the transition period. Such rule is now final. During this transition period the DOL will continue its review under the Presidential Memorandum of February 3, 2017, to review public comments, and decide whether to propose further changes. During this transition period, a fiduciary advisor who makes an investment recommendation has the duty to give advice that conforms to “impartial conduct standards.” There is no requirement that an IRA custodian or trustee must furnish an investment recommendation. An advisor must adhere to a best interest standard when making investment recommendations, charge no more than reasonable compensation and not make any misleading statements. The DOL has stated it is extending its temporary enforcement policy set forth in Field Assistance Bulletin 2017-02. The DOL will treat a fiduciary as being in compliance during this transition period as long as the fiduciary is working diligently and in good faith to comply with the transition rules. Unless modified, the exemptions’ remaining requirements will be come effective on July 1, 2019. One of the main reasons to furnish 2017-2018 IRA Amendments is to discuss the Fiduciary rule and the transition rules. Inflation was approximately .3% for the fiscal quarter ending September 30, 2016, so many of the IRA and pension limits as adjusted by the cost of living factor have not changed or the changes have been quite small. The maximum IRA contribution limits for 2017 for traditional and Roth IRAs did not change – $5,500/$6,500. 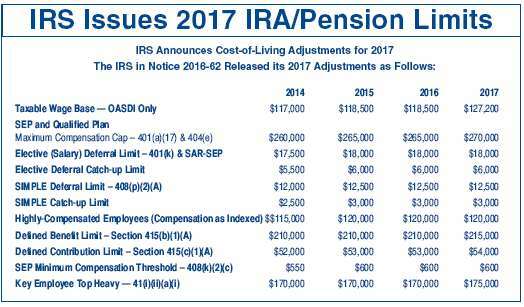 The 2017 maximum contribution limit for SEP-IRAs is increased to $54,000 (or,25% of compensation, if lesser) up from $53,000. The minimum SEP contribution limit used to determine if an employer must make a contribution for a part-time employee remains the same at $600. The 2017 maximum contribution limits for SIMPLE-IRAs is unchanged at $12,500 if the individual is under age 50 and$15,500 if age 50 or older. The 2017 maximum elective deferral limit for 401(k) participants is unchanged at $18,000 for participants under age 50 and $24,000 for participants age 50 and older. In order to use the BICE a financial institution must notify the DOL by providing an email to e-bice@dol.gov that it will to use the BICE. The notice can be generic. That is, it need not mention any specific IRA or any specific plan. If the notice requirement has been met, then the financial may receive compensation. The notice remains in effect until it would be revoked by the financial institution. Any IRA owner or plan participant or inheriting beneficiary or an authorized representative of such persons. None of the non-IRS individuals are authorized to examine records regarding a recommended transaction of another retirement investor, privileged trade secrets or privileged commercial or financial information of the financial institution or information identifying other information. When a financial institution refuses to furnish requested information for a reason state above, it has 30 days in which to inform the requester of the reasons for denying the request and that the DOL if requested could request such information. If the required records are not maintained, there is a loss of the exemption only for that transaction or transactions for which the records are missing or have not been maintained. Other transactions will still qualify for the BICE if those records are maintained. If the records are lost or destroyed, due to circumstances beyond the control of the financial institutions, then no prohibited transaction will be considered to have occurred solely on the basis of the unavailability of those records. Election Day November 8th, 2016 and the Politics of IRAs. You and other voters will go the voting booth on November 8th, 2016. IRAs are political because they are created by the federal income tax laws. IRA owners receive tax preferences for making various types of IRA contributions or because the IRA has received a direct rollover or rollover contribution from a 401(k) plan or another employer sponsored retirement plan. The federal deficit is a political issue waiting to be addressed. More and more politicians are starting to seriously look at IRAs and 401(k) plans as sources of tax revenues. Money in traditional, SEP and SIMPLE IRAs is tax deferred, it is not tax-free. When distributed or withdrawn, the distribution amount must be included in the recipient's income and tax paid at the person's applicable marginal income tax rate. There is approximately 7.2 trillion dollars in traditional IRAs. Assuming an average marginal tax rate of 20% the federal government is looking to collect 1.4 trillion dollars from future IRA distributions. There is approximately 6.8 trillion dollars in 401(k) and other defined contribution plans. Assuming an average marginal tax rate of 20% the federal government is looking to collect 1.3 trillion dollars from future 401(k) distributions. The federal debt is estimated to be 19.5 trillion dollars as of September 30, 2016. IRAs and 401(k) plans cover 13.8% of the federal debt. The question is, when will these tax revenues be collected? Some politicians are starting to suggest the IRA rules need to be changed so the federal government starts to collect tax revenues sooner than under existing law. Senator Ron Wyden represents the State of Oregon. He is a Democrat. There is a 50% chance he will become the chairman of the Senate Finance Committee in 2017 after the November 8th elections. He recently communicated that he and other Democrats will be pursuing the following IRA law changes. It is unclear if everyone would lose the right to make Roth IRA conversion contributions or if a person with traditional IRA funds could make a conversion contribution but only to the extent the IRA funds are taxable. That is, a person with basis in his/her IRA or pension plan could not convert any basis. The Obama administration has previously proposed not allowing basis within an IRA to be converted. A total repeal of the right to make a Roth IRA conversion contribution would be radical. At least on a short term basis, the federal government likes it when individuals make Roth IRA conversion contributions as tax revenues are collected. There would be a new tax rule stipulating that the maximum value of a person's Roth IRAs would be limited to $5,000,000 and if this limit was exceeded then the excess would have to be withdrawn. This also would be a radical change. A non-IRA change would be to change the law governing 401(k) plans. Somehow a person making student loan payments would be given credit under their 401(k)plan so that the loan payments would be treated as an elective deferral contributions so that an employer would have to make a matching contribution. In summary, IRAs are political. As with other political subjects, each person will need to make their own voting decisions. Taking away IRA tax preferences is in essence a tax increase and individuals will need to decide the degree it will influence how they will vote. We at CWF believe switching to the 5-year rule for an inherited IRA beneficiary should be unacceptable. The IRS issued Revenue Procedure 2016-47 on August 24, 2016. It modifies Revenue Procedure 2003-16. The IRS now in the course of a examining a taxpayer’s individual tax return may determine that the person qualifies for a waiver of the 60-dayrollover requirement. The IRS has created a third waiver method. The new waiver method is effective on August 24, 2016. The first waiver method set forth in Revenue Procedure 2003-16 requires the taxpayer to file an application requesting a waiver of the 60-day rule and the IRS must grant the waiver. The second waiver method authorizes an automatic waiver of the 60-day rule if four requirements are met. Why this new IRS procedure? In January of 2016 the IRS changed the filing fees that a taxpayer must pay when submitting his or her waiver application. In 2015, the filing fee was $500 if the purported rollover was less than $50,000, $1,500 if the rollover amount was less than $100,000 but equal to or more than $50,000 and $3,000 if the rollover amount was $100,000 or more. The IRS increased the fee to $10,000 for all such waiver applications. Apparently the IRS concluded that it no longer could afford to assign the personnel it had assigned to process these waiver requests. Presumably, many taxpayers and tax professionals have expressed their dissatisfaction to the IRS. The $10,000 filing fee means many taxpayers are no longer able to have the IRS process their application and receive a concrete ruling that they were or were not entitled to a waiver of the 60-day rule. The application process provided a taxpayer with tax certainty. In Revenue Procedure 2016-47 the IRS authorizes a self-certification procedure that a taxpayer may use to request the waiver of the 60-day requirement rather than using the application procedure.The IRS tentatively grants the waiver upon the making of the self-certification and the taxpayer is permitted to prepare his or her tax return to reflect that he or she made a complying rollover so the distribution amount is not required to be included in his or her taxable income. However, the IRS retains the right to examine the individual’s tax return for such year (i.e. Audit) and determine if the requirements for a waiver of the 60-day rule were or were not met. If the IRS determines the individual was not entitled to a waiver of the 60-day rule, the individual will have to include such distribution in his or her income and will have an excess IRA contribution situation needing to be corrected. The IRS explanation gives a limited discussion of the adverse consequences. If the IRS does not grant the waiver then the person may be subject to income and excise taxes, interest and penalties. One of the penalties which might apply would be the 25% tax for understating one’s income. This self-certification procedure applies to distributions from any type of IRA and also from a 401(k) plan or other qualified plan and certain 403(b) and 457 plans. The IRS has stated that it will be modifying the Form 5498 so that an IRA custodian which accepts a rollover contribution pursuant to this self-certification procedure after the 60-day deadline will complete such person’s Form 5498 to report that the rollover contribution was accepted after the 60-day deadline. The IRS will then be able to examine the tax returns of these taxpayers and the purported rollovers. How does this self-certification procedure work? The IRA owner will furnish the IRA custodian/trustee with a written certification meeting the following requirements. The IRA owner may use the IRS’ model letter set forth in the appendix of Revenue Procedure 2016-47 on a word-for-word basis or by using a form or letter that is substantially similar in all material respects. The IRA owner must make his or her rollover contribution as soon as practicable once the reason(s) for missing the 60-day deadline no longer apply. This requirement is deemed satisfied if the rollover contribution is made within 30 days after the reason or reasons no longer prevent the IRA owner from making the rollover contribution. The party making the distribution delayed providing information that the receiving plan or IRA required to complete the rollover despite my reasonable efforts to obtain the information. A person whose reason for missing the 60-day requirement is not included in the list of reasons is unable to use this self-certification procedure. The IRA custodian is authorized to rely on the IRA owner’s self-certification for purposes of accepting the rollover and reporting it unless it has actual knowledge contrary to the self-certification. The IRS has created this self-certification method because it had to have some alternative procedure to allow taxpayers to seek a waiver of the 60-day rule as discussed in Revenue Procedure 2003-16 as the increased filing fee meant most taxpayers no longer would be using the application process. An IRA accountholder should almost always designate a primary beneficiaryand also designate one or more contingent beneficiary(ies). In some older IRA files the IRA accountholder has not designated a contingent beneficiary. In such situation, almost all IRA plan agreement forms provide that the IRA funds will then be paid to the decedent's estate. Tax options are not as many or as beneficial when an estate is the inheriting IRA beneficiary. Be nice to your IRA clients and remind them periodically they should review and update their beneficiary designations, if appropriate. Of course, your IRA accountholders should be seeking the guidance of their legal and tax advisers. Situation. John and Mary are now intheir 80's. Mary has $115,000 in her IRA. John has his own IRA with a balance approximating $75,000. Each has designated the other as their IRA beneficiary, but they did not designate any contingent beneficiaries. They have two daughters and a son. Mary died on July 8, 2016. John has come into the bank because he wants these funds to go to the three children rather than himself. He believes this is what Mary wanted. That is, he wants three inherited IRAs set up for the three children. The IRA custodian must not accommodate him. It would be tax fraud. It cannot be done since Mary had not designated the children as her contingent beneficiaries. If she would have designated the three children as her contingent beneficiaries and then John would have executed a valid disclaimer, then the desired result of having these IRA funds be inherited by the three children could have been realized. But this was not done. If John executes the disclaimer now, Mary's estate will inherit her IRA and would have to comply with the RMD' rules applying to an estate beneficiary. John most likely would be making the situation worse. He will be better-off if he elects to treat Mary's IRA as his own and then withdraws only the RMD each year. He will, of course, name his three chi-dren as his IRA beneficiaries. More Wealthier Individuals Should Be Making Non-deductible Traditional IRA Contributions - They Just Need Some Help and You Can Provide It. Wealthier individuals should be rushing to their IRA custodian/trustee to make a non-deductible IRA contribution. This is certainly true if they are a 401(k) participant. Many individuals should be making non-deductible traditional IRA contributions and they don’t do so because they (and their advisors) many times don’t understand the benefits, including how the related tax rules apply. Every person should contribute as much as possible to a Roth IRA. Why? There are very few times under US income tax laws where Income is not taxed. That is, no taxes are owed with respect to Roth IRA funds if the Roth owner has met a 5-year rule and is age 59½ or older or the Roth owner is a beneficiary who has inherited the Roth IRA and the 5-year rule has been met. The federal tax laws have been expressly written to make it impossible for a person with a high income to make an annual Roth IRA contribution. Some people (i.e. many Democrats) don’t want “wealthier” individuals to gain the benefit of contributing funds to a Roth IRA and earning tax free income. They want them to pay more income taxes. A person who had tax filing status of single was ineligible to make a 2015 Roth IRA contribution if his or her MAGI (modified adjusted gross income) was $132,000 or more. A person who had filing status of married filing jointly was ineligible to make a 2016 Roth IRA contribution if the couple’s MAGI was $193,000 or more. A person who had filing status of married filing separately was ineligible to make a 2016 Roth IRA contribution if his or her MAGI was $10,000 or more. This article is going to discuss the question, “should these two each make a non-deductible traditional IRA contribution?” For the reasons discussed below, both should make a maximum non-deductible traditional IRA contribution until each is no longer eligible to make a traditional IRA contribution (i.e. the year a person attains age 70½). On March 15, 2016, Jane contributed $6,500 to a traditional IRA she had established in 1984. She designated her contribution as being for 2015. The IRA balance at the time of contribution was $8,500. With the addition of her $6,500 contribution the IRA balance became $15,000. Since then the account has earned $40 of interest. It is now assumed that Jane has no other IRA funds in any traditional, SEP or SIMPLE IRAs. The IRA taxation rules require in applying the taxation rules that all non-Roth IRA funds be aggregated. One cannot avoid the pro-rata taxation rule by setting up separate IRAs or having separate time deposits. She may not use the recharacterization rules to make her traditional IRA contribution a Roth IRA contribution as their 2015 MAGI is too high. There is no IRS guidance allowing the IRA custodian to switch the year for which the IRA contribution was made from 2015 to 2016. The IRS has issued rules allowing her to withdraw her 2015 IRA contribution with no adverse tax consequences as long as she does so by 10-15-16, no deduction is claimed on the 2015 tax return and the related income is withdrawn. If she withdraws her $6,500 contribution she is required to withdraw the related income and it is taxable for 2016 since the contribution was made in 2016. The related income is a pro-rata amount of the $40 determined as follows: 6500.15000 x $40 = $17.33. Since she is younger than age 59½ she does owe the 10% additional tax on this $17.33. The bank as the IRA custodian will prepare a 2016 Form 1099-R inserting the codes (81) in box 7, box 1 would show $6,517.33 and box 2a would show $17.33. In 2016 she is eligible to make a Roth IRA conversion of any amount in the range of $.01 to $15,040. If she would convert $15,040 into her Roth IRA she/they would include in income on their 2016 tax return the amount of $8,540. She as many taxpayers does not want to include the $8,540 in her/their income and pay tax on it. Jane as many taxpayers would like to convert only her non-deductible contribution of $6,500. This would allow her to pay no taxes since she would not be converting any of the $8,540. The tax rules require use of the standard pro-rata taxation rule when an IRA has taxable funds and nontaxable funds. If she converts $6,500, a portion would be taxable and a portion would not be. The taxable portion is: $6,500 x $8,540/$15,040 ($3,690.82) and the non-taxable portion is $6,500 x $65,00/15,040 ($2,809.18) . Jane made a non-deductible IRA contribution for 2015. She is required to file Form 8606 and attach to the couple’s Form 1040. If it was not filed with the original return, an amended tax return should be filed and the 2015 Form 8606 attached. She is not relieved of this duty because she withdraws the $6,500 or converts it. A $50 penalty applies to a person who fails to file Form 8606 unless she could show a reasonable cause why she did not file it. A person must pay a $100 penalty if a person overstates the amount of non-deductible contributions. Note that Jane will also be required to file a 2016 Form 8606 regardless if she withdraws a portion or all of the $6,500. Having to include in income the amount of $8,540 and pay tax on this amount should not influence Jane or any other wealthy person to not make non-deductible contributions. But it does. Tax on $8,540 should not be that material to a couple who are ineligible to make annual Roth IRA contributions. From a practical standpoint, Jane could convert her traditional IRA over a 2-4 year time period to lessen the amount of income which would be taxed each year. The best of all “planning” situations would be if Jane would either work for an employer that had a 401(k) plan written to accept rollovers from traditional IRAs or if she could work for the bank and become eligible under the bank’s 401(k) plan. Why? If Jane was a participant of a 401(k) plan, the tax rules have been so written that if she would rollover a portion of the $15,040, the amount rolled over “first” is the taxable portion. The prorate rule does not apply in this situation. If Jane only rolls over $8,540, this means that the $6,500 remaining in the IRA are non-taxable. She may then convert such amount to a Roth IRA. This is her goal, this any person’s goal. Jane wants to make as many non-deductible IRA contributions (currently $6,500 but his amount which change as it is indexed for inflation) as she can between ages 54-70½ because she should convert all such funds into a Roth IRA. What about her husband, Mark? He too wants to make the maximum amount of non-deductible IRA contributions from ages 57-70½ and at some point convert such contributions to a Roth IRA. The sooner the conversion can be completed the better as the earnings realized after the conversion will be tax free if the qualified distribution rules are met. Most likely Mark participates in a 40(k) plan which will allow him to move ‘taxable IRA money into his 401(k) account. If not, he probably has the ability to rewrite the plan so he would have this right. The 401(k) plan in which he participates may allow him to make Designated Roth deferrals and he exercises that right to the maximum. This would be $24,000 for 2016 ($18,000 + $6,000). Good for him. But why not contribute an additional $6,500 to his traditional IRA and convert it? Contributing $6500 for 13 or 14 years would result in an additional $84,500 or $91,000 in a Roth IRA. Those individuals attaining age 70 between July and December 31st are eligible to make a contribution for their "70" year whereas those who attain age 70 and 70½ are ineligible. Be aware that under existing laws Roth IRA funds are ineligible to be rolled over into a 401(k) plan. This is true even for 401(k) plans having Designated Roth features. Mark too should want to make as many non-deductible traditional IRA contributions as he is eligible for until his 70½ year. In summary, a bank president and his/her spouse want to make as many non-deductible traditional IRA contributions as possible prior to his/her 70½ year. With some pre-planning, it will be possible to convert these to be Roth IRA conversion contributions. Some mainframe software vendors just don’t understand the IRS procedures for reporting once an IRA accountholder dies. These mainframe software writers have incorrectly adopted the approach that the Form 1099-R is to be prepared when an inherited IRA is being established. A Form 1099-R is prepared only if there is a reportable distribution. Establishing an inherited IRA involves transferring the IRA funds from the decedent’s IRA to one or more inherited IRAs. Such transfers are not to be reported on the Form 1099-R. It may not be the best way, but the IRS has the IRA custodian complete the Form 5498 in a special way to inform the IRS that the decedent’s IRA funds have moved to an inherited IRA for one or more beneficiaries. Using the title, “John Doe as beneficiary of Jane Doe,” informs the IRS that funds have been moved from Jane Doe’s IRA into a inherited IRA for John Doe. The Form 1099-R is not used for this purpose. The software vendor is causing real problems for the individual if it prepares an incorrect Form 1099-R as he or she must explain the distribution on his or her tax return. A non-spouse beneficiary is unable to rollover a distribution from an inherited IRA Putting a 0.00 in box 2a does not make things better. Raul, age 58, has been a bank customer since 1998. He presently does not have an IRA. He does have a 401(k) account at his employer. His daughter Laura, age 31, died March 2014, in a car accident. Laura had designated her father to be the beneficiary of her 401(k) account. The 401(k) plan administrator had contacted Raul to inform him that he was Laura's beneficiary and that her account balance was approximately $60,000. He has come into the bank seeking some help. Raul is fairly sure that he will decide to establish an inherited IRA with your financial institution. Raul will want to ask the 401(k) administrator to provide him the following information: a copy of the plan's summary plan description, a copy of plan's distribution form and a copy of Laura's most recent participant statement showing her various investment account balances. The summary plan description will provide a discussion of the rights of a non-spouse beneficiary once he has inherited the 401(k) balance of a deceased beneficiary. The plan could be written to allow him to keep the funds within the 401(k) and then withdraw annual required distributions from such plan. Most likely the plan will be written to require Raul as a non-spouse beneficiary to withdraw the inherited IRA funds within a 3-5 year period. One of his options will be to instruct to directly rollover the inherited 401(k) funds into an inherited traditional IRA and/or an inherited Roth IRA. He then could withdraw annual required distributions from the inherited IRA using the life distribution rule. The 401(k) distribution form must present Raul with the following three options. Sometimes the distribution form does a poor job of explaining that there is the third option. Option #1. He could elect to withdraw the entire balance of $60,000. Since he, as any non-spouse beneficiary, does not have the right to rollover this $60,000, the rule requiring mandatory withholding at the rate of 20% does not apply. The tax rules would require that 10% of the distribution be withheld, but he would have the right to instruct to have no withholding. If he chose to withdraw the $60,000, it would be prudent for him to have 15-25% withheld since he will need to include the $60,000 in his income and pay the applicable tax liability. As a beneficiary he is does not owe the 10% penalty tax even though he is younger than age 59½. Option #2. He could elect to directly rollover the $60,000. He has three (3) sub-options. First, he could elect to directly rollover the $60,000 into an inherited traditional IRA. Although he is required to commence taking required distributions, he will be deferring taxation on most of the funds until later. Second, he could elect to directly rollover the $60,000 into an inherited Roth IRA. Such a distribution will require him to include the $60,000 in his income and pay the applicable taxes. He will also be required to commence annual required distributions from the Roth IRA. Once the 5-year rule has been met all such distributions will be tax-free. Third, he could directly rollover a portion to an inherited traditional IRA and then he could directly rollover the remaining portion into an inherited Roth IRA. Although the law provides a general rule that if the five-year rule applied to the distributions under the 401(k) plan then this rule is to continue to apply to the inherited IRA, there is a major exception which allows the beneficiary to elect to use the life distribution rule. Two requirements must be met. First, the funds must be directly rolled over before the end of the year following the year of death. Secondly, the life distribution rule must be determined using the same non-spouse beneficiary. Option # 3, He would withdraw some of the $60,000 and then he would directly rollover the remaining balance. For example, he could instruct to withdraw $10,000 and then he would directly rollover the remaining $50,000 into an inherited traditional IRA and/or inherited Roth IRA. 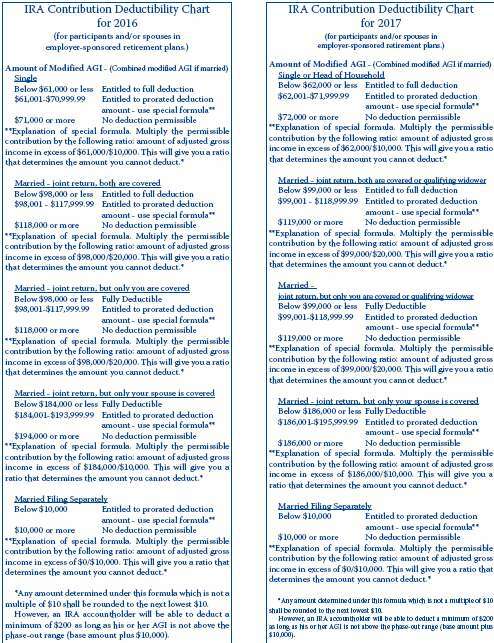 The withholding rules as discussed under Option #1 would also apply to the withdrawal of the $10,000. Raul will complete this 401(k) distribution form and furnish it to the 401(k) administrator. Raul should also furnish a copy of this form to you as the IRA custodian of his new inherited IRA. He will need to execute the inherited IRA plan agreement and instruct you how he wishes to have such funds invested. When the funds are sent to your bank, you will be able to process the direct rollover check as he and the 401(k) administrator have instructed. The right of a non-spouse beneficiary to set up an inherited IRA for funds arising from decedent with a 401(k) account did not exist until January 1, 2007. There will be mothers, fathers, brothers, sisters, and friends who will wish to establish an inherited IRA. You want to be ready to service these individuals. Almost always, they will be long-term customers, as they will be taking partial distributions over their life expectancy. The IRS is beginning a one-year pilot program on June 2, 2014, to help individuals and partnerships that failed to file one or more 5500-EZ forms. Such filers will be able to be relieved from paying the maximum penalty of $15,000 per year for failing to file a Form 5500-EZ by filing such non-filed form or forms. The IRS announced this special program in Revenue Procedure 2014-32 as published on May 16. This relief will apply to 5500-EZ forms filed during the period of June 2, 2014 until June 2, 2015. Forms filed after June 2, 2015 will not be entitled to the relief. Since 1995 the Department of Labor (DOL) has had a correction program available to employers of plans covering multiple participants. It is called the Delinquent Filer Voluntary Compliance (DFVC) program. Sponsors of multiple participant plans use the DFVC correction program to come into compliance with the law on a voluntary basis by filing the missed forms and by paying a correction fee much less than the amount owed if the DOL and/or the IRS discovered the failure to file the 5500 forms. In 2002, the IRS adopted the administrative practice that it would not impose applicable tax penalties (in addition to the DOL penalties) on an employer for it not filing the Form 5500 as long as the filer was eligible to use the DOL’s DFVC program and satisfied the requirements of such program by filing the non-filed 5500 forms. Until now, the IRS has not had a correction program for One-Person plans. The DOL has no authority over One-Person plans except for the prohibited transaction topic. Under this special IRS relief program, an individual with a One-Person plan will not be required to pay any fee for participating in the IRS pilot program. The IRS is asking the public if this pilot program should be adopted on a permanent basis, and, if so, how the correction amount or fees, should be determined. Individuals who are not in compliance will generally want to take advantage of this special opportunity. The IRS has said that the pilot program will end on June 2,2015. CWF will prepare such a filing for $150 per plan. For discussion purposes, assume that Sarah Andrews, a sponsor of a One-Person profit sharing plan failed to file a 2011 Form 5500-EZ even though her profit sharing plan had a balance of $280,000 as of December 31, 2011. Sarah forgot that a filing was required when the plan balance exceeded $250,000 as of any December 31st. She did file the 2012 Form 5500-EZ showing a year-end balance of $325,000 and the 2013 Form 5500-EZ showing a year-end balance of $365,00. Sarah will wish to use this special pilot program to file her missed 2011 Form 5500-EZ and avoid the penalty amount due of $15,000. The tax penalty is $25 per day to a maximum of $15,000 per return. The $15,000 is reached when a filer is 600 days late. Many times this 600th day is reached as many times the IRS has not yet determined that the employer had not filed a required form. For example, in the Sarah example, since her plan had never exceeded the $250,000 limit, the IRS did not know that she had missed a required filing. When is a filing required for a One-Person plan which was terminated during the year? Always is the IRS position. However, the IRS has done a poor job of communicating this position. Commencing immediately, an IRA custodian/trustee will need to start applying a new rule for when it is receiving an IRA rollover contribution. Since at least 1989 the IRS has stated in Publication 590 that the once per year rollover rule applies on a per IRA plan agreement basis and not to all of a person’s IRAs. That is, if two distributions are taken from the same IRA, then only one of them could be rolled over. A distribution taken from a different IRA could be rolled over even though a person had taken a distribution from another IRA and rolled it over within the 12-month period. The 2013 version states the following on page 25. Waiting period between rollovers. Generally, if you make a tax-free rollover of any part of a distribution from a traditional IRA, you cannot, within a 1-year period, make a tax-free rollover of any later distribution from that same IRA. You also cannot make a tax-free rollover of any amount distributed, within the same 1-year period, from the IRA into which you made the tax-free rollover. The 1-year period begins on the date you receive the IRA distribution, not on the date you roll it over into an IRA. Example. You have two traditional IRAs, IRA-1 and IRA-2. You make a tax-free rollover of a distribution from IRA-1 into a new traditional IRA (IRA-3). You cannot, within 1 year of the distribution from IRA-1, make a tax-free rollover of any distribution from either IRA-1 or IRA-3 into another traditional IRA. A recent U.S. Tax Court case is a classic illustration that there are times the IRS wants to collect taxes so strongly from a particular taxpayer that the IRS personnel in charge is willing to have the decision cause the general public large tax administrative problems. Such is the result of a recent U.S. Tax Court case, A.L. Brobrow and E.S. Brobrow v. Internal Revenue Commissioner, T.C. Memo 2014-21 as decided on January 28, 2014. This paragraph [regarding tax-free rollovers] does not apply to any amount described in subparagraph (A)(i) received by an individual from an individual retirement account or individual retirement annuity if at any time during the 1-year period ending on the day of such receipt such individual received any other amount described in that subparagraph from an individual retirement account or an individual retirement annuity which was not includible in his gross income, because of the application of this paragraph. The reference to “any amount described in subparagraph (A)(i)” refers to any amount characterized as a non-taxable rollover contribution by virtue of that amount's being repaid into a qualified plan within 60 days of distribution from [*9] IRA or individual retirement annuity. The one-year limitation period begins on the date on which a taxpayer withdraws funds from an IRA or individual retirement annuity and has no relation to the calendar year. The plain language of section 408(d)(3)(B) limits the frequency with which a taxpayer may elect to make a non-taxable rollover contribution. By its terms, the one-year limitation laid out in section 408(d)(3)(B) is not specific to any single IRA maintained by an individual but instead applies to all IRAs maintained by a taxpayer. Section 408(d)(3)(B) speaks in general terms: An individual may not receive a non-taxable rollover from ''an individual retirement account or individual retirement annuity" if that individual has already received a tax-free rollover within the past year from ''an individual retirement account or individual retirement annuity." (Emphasis added.) In other words, a taxpayer who maintains [*13] multiple IRAs may not make a rollover contribution from each IRA within one year. What were the facts of this case? Mr. Brobrow maintained two traditional IRAs at Fidelity Investments. One was a rollover IRA. His wife maintained her own traditional IRA. The couple must have had cash flow problems. Fidelity's advisers apparently told him he could to do the following. On April 14, 2008, he withdrew $65,064 from his IRA #l. He did take two distributions. It may be he needed these funds to pay tax liabilities, which had to be paid by the April 15th. On September 30, 2008, she made a rollover contribution of $40,000 into her traditional IRA. The funds came from their joint account. Note her withdrawal of $65,064, however, was taxable as she made her rollover contribution on day 61 and not on day 60. If the court had followed the IRS statement set forth in the 2007 or the 2008 Publication 590, Mr. Brobrow’s two withdrawals of $65,064 would not have been taxable. He rolled over both within the 60-day time period. He had not rolled over a previous distribution from the two IRAs within the preceding 12 months. Actions by an IRA Custodian/Trustee. CWF is in the process of revising its rollover certification forms to state the 12-month rule is no longer a one per plan agreement. The Disclosure Statement of the IRA Plan Agreement booklet will also be revised. An IRA custodian/trustee will want to send an amendment to its IRA accountholders informing them of this change. It must be remembered that any distribution after the one which is rolled over is now taxable. One way to inform the existing accountholders would to furnish the 2013-2014 Comprehensive IRA Amendment, which discusses this change. On July 8th, Senator Hatch introduced a tax bill which would change many IRA and pension laws. Set forth is a summary of the IRA changes. The pension plan changes are discussed in a separate article. The insurance industry and the securities industry are suggesting changes benefiting their members to the detriment of banks, credit unions and trust companies. In general these changes would apply to 2014 (i.e. plan years commencing in 2014). Some changes would be effective as of July 8, 2013. Considering the political situation, the fate of these proposals is uncertain. It may be possible that some will be enacted to show there can be bi-partisanship between Republicans and Democrats. Mortality Tables for RMDs Must be Updated. Within one year of enactment the IRS shall either update the existing mortality tables or provide new tables. Any “new” table shall apply to plan years beginning after the date which is one year after publication. The IRS is to issue new tables at least every five years thereafter. RMD will be Eligible to be Converted to Roth IRA. Under current law a person is ineligible to convert funds within a traditional IRA to a Roth IRA since the law does not permit a person to rollover a required distribution. The proposal would allow RMDs to be rolled over or converted to a Roth IRA. The proposed law would be, as for pension plans, any inadvertent RMD error with respect to an IRA shall be able to be self-corrected, without the imposition of the 50% tax as long as the late distribution is distributed no more than 180-days after it was required to be made. In addition the IRS is to amend its EPCRS program to provide that inadvertent IRA errors may be corrected as long as such errors were not the fault of the IRA owner. Some of the errors which may be corrected are those discussed below, but it is intended that additional errors may also be self-corrected. There needs to be a waiver of the 60 day deadline for a rollover where the deadline is missed for reasons beyond the reasonable control of the accountholder. New Joint Authority for the IRS and the DOL Regarding Prohibited Transactions Associated with IRAs and Pension Plans. Under current law the authority to grant exemptions for prohibited transactions related to pension plan and IRAs is held by the DOL. The proposed law would give joint authority to the IRS and the DOL. The IRS and DOL would be required to issue joint rulings. This change would be effective as July 8, 2013. The securities industry does not like how it is being treated by the DOL. The DOL has agreed to only offer a limited prohibited transaction exemption and the securities industry finds this unacceptable. The power of the DOL will be reduced. Authorize an Employer to Substitute a Safe Harbor 401(k) Plan for a SIMPLE-IRA Plan. Under current law an employer sponsoring a SIMPLE-IRA plan is not allowed to terminate the plan before January 1 of the following year. An employer would be authorized to terminate the SIMPLE-IRA plan during the current year as long as the employer substitutes a safe harbor 401(k) plan as of the date of termination. A combined elective deferral limit would apply. Authorize New Rollover to an IRA. Under current law, if a qualified plan holds on behalf of a participant a qualifying insurance contract, such contract is not eligible to be directly rolled over into a traditional IRA. The insurance contract either must be liquidated for cash or distributed to the individual in-kind. This law would be changed to allow the rollover or direct rollover of an insurance contract within a qualified plan into a traditional IRA even though the general rule is that IRA funds may not invest in life insurance contracts. New Type of Deemed IRA. Current law authorizes funds within a 403(b) custodial account then the custodial account will become a deemed IRA with the financial institution holding the 403(b) assets as of the date of the termination. The deemed IRA will be created only if the financial institution holding the assets has demonstrated to the IRS that it is qualified to serve as a IRA trustee/custodian. Required Distribution Rules Modified for IRAs, 403(b) and Defined Contribution Plans When a Deferred Annuity is Bought Prior to Age 70½. It is ironic. The IRS cannot be persuaded to voluntarily update the RMD tables so people will be allowed to take smaller RMDs, but the IRS and the DOL are enamored with the planning features of deferred annuities. The argument being made by insurance companies and people who sell annuities is that people are living longer. Therefore, to ensure they will have money when they are in their 80’s they should be able to reduce their RMDs when in their 70’s. The RMD proposal would be that amount invested in a deferred annuity would not be counted as part of the IRA’s fair market value for the RMD calculating. In order to receive this treatment the following rules must be met. The individual’s investment in the annuity cannot exceed 25% of the individual’s entire interest in all plans (defined contribution, IRA and 403(b)) determined as of the close of the calendar year preceding the calendar year in which the purchase occurs. A special rule applies if the individual dies before his or her required beginning date and he or she does not purchase a qualified deferred annuity and the designated beneficiary is his or her spouse. In this case, the surviving spouse may invest any portion of the entire interest (not 25%) in the same manner as the spouse who died, but the required beginning date and the deferral period will be based on the dates the deceased spouse would have attained age 70½ or 85. The deferred annuity has features very similar to those found in a lifetime income investment. A lifetime income investment is to have a lifetime income feature. This means a feature that guarantees a minimum level of income at least annually for the remainder of the employee’s life (or the remainder of the employee’s life along with his or her designated beneficiary) or an annuity where the payments are made in substantially equal periodic payments over the employee’s life (or the remainder of the employee’s life along with his or her designated beneficiary). Will the IRS Revise the IRA/Pension Life Expectancy Tables in the Near Future? We are awaiting an answer from the IRS. The IRS has recently updated various morality tables for defined benefit pension plan purposes. More Americans are living longer. This fact certainly affects pension plans and it also affects to IRAs. The IRS will inform the public in the near future whether the IRA/pension life expectancy tables have been or will be revised to reflect individuals living longer. If so, the RMDs of most individual RMDs would decrease slightly. This would be true for both accountholders and also inheriting beneficiaries. Since smaller distributions means less tax dollars collected, it may be the IRS will not adjust the IRA life expectancy tables. As discussed below, there is no tax law requiring the IRS to make such an adjustment in 2013, but public policy would seem to support the adjustment. Most IRA accountholders age 70½ and older want to take only their required distribution and not a penny more. Section 634 of EGTRRA (2001) instructed the Secretary of the Treasury to modify the life expectancy tables for purposes of the minimum distribution rules to reflect current life expectancies. In 2002-2003 the IRS in its final regulation adjusted these tables to reflect improvements in mortality from 2000-2003. The Uniform Lifetime table, the Joint Life Expectancy table, and the Single Life table were changed to reflect mortality improvement from 2000 to 2003. Earlier the IRS had adjusted various tables to create the Annuity 2000 mortality table. And such revised tables were created by combining on a basis of 50% male and 50% female. The mortality of females is superior to that of males as the tables demonstrate. These mortality tables are of critical importance for administering defined benefit pension plans. An employer sponsoring a defined benefit plan will be required to make larger contributions if mortality improves. The plan benefit (i.e. amount) an employee is entitled to be paid at his or her normal retirement date will be larger if mortality has improved. The IRS has recently released Notice 2013-49. This Notice provides updated static mortality tables for the years 2014 and 2015. Code section 430 does contain a provision providing that periodically (at least every 10 years) these mortality tables shall be revised to reflect the actual experiences of pension plans. What about IRAs? 10 years or more have passed since the IRS last updated the IRA/pension life expectancy tables. We expect the IRS will respond to CWF’s question within the next 2-6 weeks. We will let you know what we are told in a future newsletter. We hope the IRS will revise the life expectancy tales thereby allowing accountholders and inheriting beneficiaries to take slightly smaller required distributions. After many years, the maximum IRA contribution limits for 2013 will be $500 larger. 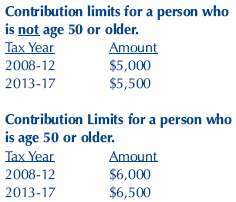 For 2008-2012, if a person was not age 50 as of December 31, then his or her maximum contribution was $5,000 assuming he or she had compensation of at least $5,000. This limit increases to $5,500 for 2013. 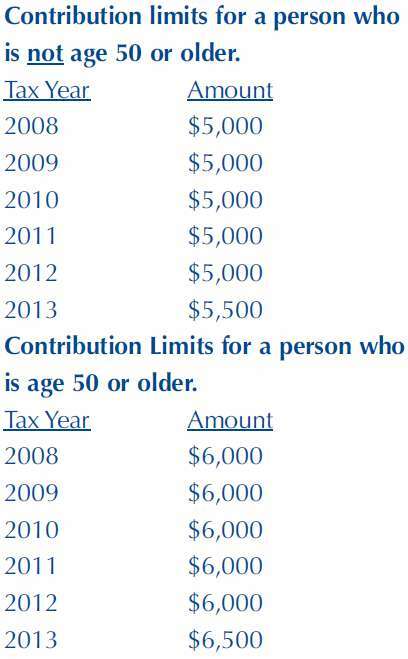 For 2008-2012, if a person was age 50 or older as of December 31, then his or her maximum contribution was $6,000. This limit increases to $6,500 for 2013. The annual catch-up contribution limit for individuals age 50 or older remains at $1,000. Hopefully, contributions for 2013 will be larger than those for 2012 and end the recent decrease in IRA contributions. Military Death Gratuity and Service-members Group Life Insurance Payment and Roth IRAs. A special type of rollover contribution is authorized. If a person receives a military death gratuity or a payment from Servicemembers’ Group Life Insurance (SGLI), this person may roll over all or part of the amount received to his or her Roth IRA. Such payments are made to an eligible survivor upon the death of a member of the armed forces. If you are the person and you are a member of the decedent’s family, then you may make a rollover contribution to your Roth IRA. The maximum amount eligible to be rolled over is the total of the survivor benefits less any amounts already rolled over on your behalf of another family member’s behalf to a Roth IRA or other Coverdell ESAs. The amount of survivor benefits contributed to the Roth IRA will be basis and will not be taxed when withdrawn. This special rollover must be completed within one year after the date the individual received the death benefit gratuity or the SGLI payment. The once per year rollover limit applying during a 12-month period does not apply to rolling over a military death gratuity or a SGLI payment. This special rollover is not subject to the annual contribution limits applying to Roth IRA contributions. During the first week of January we sent subscribers an email explaining that the American Taxpayer Relief Act of 2012 (ATRA) as signed into law by President Obama on January 2, 2013, extended the QCD (qualified charitable distributions) provisions for 2012 and 2013. These provisions will not apply for 2014 and subsequent years unless there would be another tax extension. 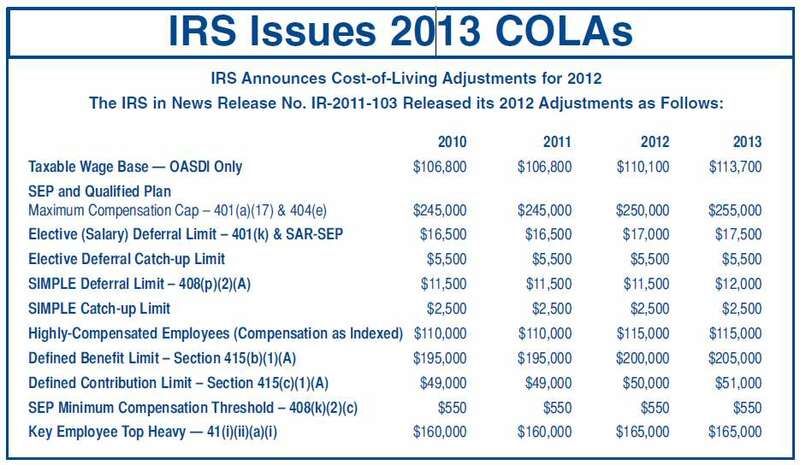 The IRS has recently issued guidance to IRA accountholders and also IRA custodians regarding QCDs for 2012 and 2013. A qualified charitable distribution (QCD) is an otherwise taxable distribution from a traditional IRA, Roth IRA, or a SEP IRA or SIMPLE-IRA to which a current year contribution has not been made, to an IRA accountholder or an inheriting IRA beneficiary who is age 70½ or older that is paid directly to a qualified charity. A QCD for a year can be used to satisfy the RMD for such year. A qualifying individual who makes a QCD may exclude from his or her gross income up to $100,000 for a year. ATRA included two special transition rules to handle the situation that until ARTA was adopted retroactively an IRA accountholder was unable to make a QCD for 2012. Consequently, ATRA was written to include two special transition rules which allow an IRA accountholder or an inheriting beneficiary to make a QCD for 2012 in January of 2013. Transition rule #1. An IRA accountholder who had taken a distribution which did not qualify as a QCD in December of 2012 could in January give cash to the charity of all or a portion of such IRA distribution and have it now qualify to be a QCD for 2012 provided that such contribution would have been a 2012 QCD if it had been paid directly to the charity from the IRA. Note that distributions made directly to the IRA accountholder from January 1, 2012 to November 30, 2012 will not qualify as a QCD for 2012. As discussed in prior newsletters, if the distribution had been made directly to the charity under the QCD rules, the distribution will qualify as a QCD if all of the other requirements had also been met. Transition rule #2. By January 31, 2013, the IRA custodian pursuant to the instruction from the IRA accountholder that he or she still wants to make a QCD for 2012 pays the charity directly a 2013 distribution. It will qualify to be a QCD for 2012 provided that such contribution would have been a 2012 QCD if it had been paid in 2012. The individual is to report the total 2012 QCDs made in January 2013 on their 2012 Form 1040 by including the full amount of the 2012 QCDs (even if in excess of $100,000) on line 15a and not including any amount on line 15b (i.e. leave it blank), but “QCD” must be written next to line 15b. For years 2006-2011, line 15b had been completed with 0 if the QCD was the same as the total distributions. The individual will also report on the 2013 Form 1040 the amount of 2012 QCDs made in January 2013. The specifics as to how such reporting is to be made on the 2013 Form 1040 as will be discussed in the instructions for the 2013 Form 1040. An IRA accountholder or an inherited IRA beneficiary who makes a QCD for 2012 in January of 2013 must keep the appropriate tax records to substantiate the timing of the distribution from the IRA and the contribution to the charity. If a 2012 Form 8606 must be filed, the instructions to the form will describe how to report any 2012 QCD made in January of 2013. An IRA accountholder must file a 2012 Form 8606, nondeductible IRAs, with his or her 2012 Form 1040 if: the 2012 QCD was from a traditional IRA and there was basis and there had been a distribution in 2012 other than the 2012 QCD or the 2012 QCD was from a Roth IRA. 2012 and 2013 Reporting Duties of the IRA Custodian and RMD Calculation for 2013. ATRA states that the QCD made in January of 2013 for 2012 is treated as if if had been made on December 31. Because of this, the IRS has stated that in determining the RMD for 2013, the 2012 QCD made in 2013 must be subtracted from the fair market value as of December 31, 2012. Where appropriate an IRA custodian will need to send a revised RMD notice. The IRA custodian will report any distribution occurring in 2012 on the 2012 Form 1099-R. As for years 2006-2011, these distributions are reported as taxable even if they were QCDs. Distributions made in 2013, including any 2012 QCDs made in January of 2013 are reported on the 2013 Form 1099-R in the same manner. Boxes 1 and 2a will be completed with the same amount and the individual must complete line 15b to show as non-taxable. The standard rules and procedures will apply in 2013 for 2013 QCDs made after January 31. The check from the IRA custodian or trustee will need to be issued to the charity and the check must have a date of December 31, 2013, or earlier. Any bets if it will be extended for 2014 and 2015? President Obama Signs "American Taxpayer Relief Act of 2012"
Late Wednesday (January 2) afternoon, President Obama signed into law the "American Taxpayer Relief Act of 2012." In general, most of the temporary law changes made by the 2001 and 2003 law changes have been made permanent. For example, the 2001 Coverdell ESA laws are now permanent. Some of the tax changes from the 2009 law, however, are still temporary. The Qualified Charitable Distribution (QCD) laws have again been extended for two years (2012 and 2013). As in 2010 there are special rules to be applied in two situation. On January 1, 2013 both houses of Congress passed the "American Taxpayer Relief Act of 2012." Although there has not yet been any formal announcement that President Obama has signed this tax bill into law, he most assuredly will do so. Qualified Charitable Distributions. The QCD laws have again been extended for two years. QCDs have been authorized again for 2012 and 2013. As in 2010, there are special rules to be applied in two situations. Any QCD made after December 31, 2012, and before February 1, 2013, shall be deemed to have been made on December 31, 2012. Any portion of a distribution from an IRA to an IRA accountholder made after November 30, 2012, and before January 1, 2013, may be treated as a QCD if the individual gives cash to the charity and the other requirements in order to have a QCD have been met (other than the rule requiring the payment be made directly to the charity from the IRA custodian/trustee). Presumably, furnishing a check will be deemed to be cash. As we have discussed in prior guidance and newsletters, a distribution made between January 1, 2012, and December 31, 2012, qualifies as a QCD if the check was made payable to the charity and the other requirements were met as the law change is effective as of January 1, 2012. The above change is effective after December 31, 2011. Internal Designated Roth Conversion Contributions. The law has now been expressly written to authorize a 401(k) plan to be written to allow a participant to instruct that funds be transferred (i.e. converted) from his or her non-Roth accounts into his or her Designated Roth account. The individual is not required to be eligible for a distribution to make this conversion transfer. The individual includes such amount in his or her income for such year and pays the applicable tax. This change is a revenue raiser, at least initially. In addition to 401(k) plans, this change also applies to certain 403(b) and 457(b) plans. The above change is effective for transfers after December 31, 2012, in taxable years after such date. We have revised our IRA and HSA forms to discuss the 2012/2013 income limits and the fact that the maximum 2013 IRA limits are now $6,500/$5,500 rather than the $6,000/$5,000 limits applying for 2012. We suggest an IRA custodian furnish a 2012/2013 amendment to your existing IRA and HSA accountholders. You can furnish it at the same time you furnish your 2012 fair market value statement in January of 2013. 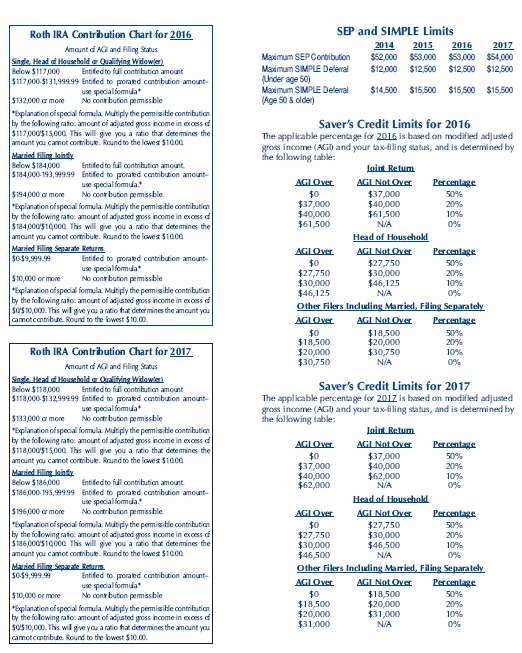 Be advised we have updated almost all of our IRA and HSA brochures and we have reinstated /updated our brochure explaining Qualified Charitable Distributions. Many times one or more brochures may be added to your January mailings with no additional postage cost. A brochure weighs approximately 3/10 of one ounce.